Software updates tend to make your iOS devices a bit more advanced along with making them perform more better. However, many people have experienced several problems and have ended up with various types of issues just after going for a new and the latest update of iOS such as the most recently one of iOS versions. 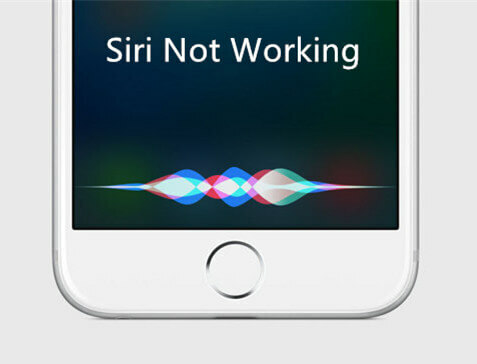 Some other reasons behind for iPhone 7/7 Plus freezing issue are system crashes, systems lags, and hardware issue, and so on. If you come across any of these at any time with your iPhone 7 and that after going for an updation of the latest iOS version, then simply read below solutions to get your Apple iPhone 7 freezing problem solved. The best and the simple ways to resolve your issue are discussed below with detailed steps and guidelines to help you out. Step 1: First press and then hold the Sleep/Wake button along with Volume Down button all together (almost for 20–30 seconds). 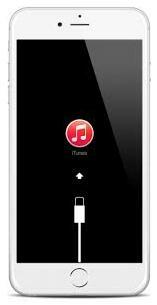 Step 2: Now let go the buttons once the screen displays Apple logo on it. Have patience till the iPhone 7 finishes the process of booting. Check if the problem is solved. Many a times, few updates are very big and also have bigger size as well as complex formats. Hence these tend to take up much space of the device's internal memory. Well, if your iPhone 7 has sufficient space, it won't be an issue, but if not, then it may result in "iPhone 7 frozen" problem. Hence you need to first check for enough memory space in your iPhone 7 and manage it accordingly to solve the issue. Follow below steps to manage and check for the internal space. Step 1: One of the reasons can be app running in background. Hence you need to clear all the app running in background. To clear all the background apps, quickly press Home button two times on your iPhone 7. This will display a list of all the apps running in background and those were used recently. Simply swipe up to clear the app and end it. Step 2: Another reason can be unnecessary data and apps in your iPhone 7. For this, simply delete not-so-important apps by tapping and holding on the Home screen the app icon that you wish to delete. When the app icon toggles, click the "X" symbol to remove and uninstall the app from the device. Finally, confirm the deletion of the app to permanently delete it. If above methods do not solve the Apple iPhone 7 freezing up issue, you need to reset all settings of your iPhone 7 (Plus). Resetting all settings of the device will bring it back to the state it started from, that is, as a brand new one with no user-defined settings at all. Follow below simple steps to solve the issue. Step 1: Navigate to Home screen >> General >> Reset. Step 2: Here, you will find Reset all settings option. Clcik on the option and you are good to go. However, remember that this will reset all the device's settings as well as restore your device to its default values/settings. Do not worry about the data as no damage will be done to the data. Step 3: When asked for any device passcode confirmation, enter your passcode to proceed further. Confirm the reset option. To fix a frozen iPhone 7 with Free Any iOS System Repair is very simple. All you need to do is get the tool downloaded and follow the simple steps displayed on screen. The software with its Repair Operating System option will no doubt help you solve the iPhone 7 frozen problem along with other iOS-related problems too. The tool has a one-click solution along with simple user interface to get your problem solved. Follow below steps to get the issue solved. Step 1: Install and run Any iOS System Repair (ReiBoot) on your computer and connect your iPhone 7 device to the computer. Select Repair Operating System. Step 2: The most important thing required for proceeding further is the most recent firmware package. Download it via the Download option. Step 3: Now just click "Start Repair". The frozen iPhone 7 problem will be solved with the recovery process of the tool. 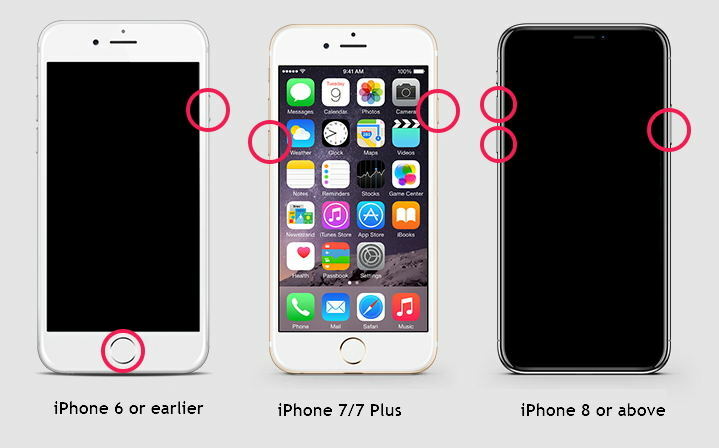 In the above article, we have shown different solutions to help you solve brand new iPhone 7 freezing issue without any fuss and with efficiency. We do hope that you have got your problem solved with one of the above solutions. We also highly recommend Any iOS System Repair due to its amazing and great features to solve any type of iOS-related problems instantly. The tool will also solve your iPhone 7 problem without any doubt. Tell us which solution was best for you and solved your problem in the below comment section.